In most cases, a company is more powerful than its employee. As Uncle Ben in the movie Spider-Man said, “With great power comes great responsibility”. In situations where an employee makes a mistake that injures a third party, the employer (i.e. the company) could be held responsible even it did not know of the employee’s actions. The law aims to provide innocent victims with fair compensation for the wrongs that have been done onto them. When a wrongdoer is unable to bear the financial costs of the misdeed, a company or employer could potentially be held responsible for an employee’s misdeeds, to properly compensate the victim. This arises from the simple fact that companies or employers are usually protected by insurance. In most cases where it was truly the employee’s misdeed, there is a two-stage process to determine when a company or employer would be responsible for an employee’s misdeeds. Although the vast majority of vicarious liability cases arise under a contract of employment, the concept of vicarious liability is not strictly confined only to employer-employee relationships. Instead of focusing on the ‘label’ of the relationship, whether vicarious liability arises depends on whether the relationship is fundamentally the same as an employer-employee one. This is what is called a ‘special relationship’. The employee would, to a greater or lesser degree, have been under the control of the employer at the time the misdeed was committed. Other factual factors such who pays the employee’s tax and insurance, who provides the equipment, and the terms and conditions agreed are also taken into consideration. When there is a ‘special relationship’, this sets the stage for the company to potentially be vicariously liable for the employee’s actions. When misdeeds actually happen, the next stage of inquiry will arise to scrutinise whether the company can actually be vicariously liable. There is a distinction between potentially being vicariously liable and actually being vicariously liable. The existence of a ‘special relationship’ puts the company or employer at risk of being potentially found vicariously liable. The reasoning behind this is simple – it is a give-and-take situation. Since the company or employer is benefitting economically from hiring and authorising the employee to carry out their business activities, there is no full indemnity when things go wrong. To be actually vicariously liable depends the level of instruction given to the employee to carry out the company’s business, which led to or increase the risk of the misdeed occurring. In authorising the employee to perform business activities, the employer is giving the employee an opportunity and power to carry out the activities. If this misdeed was committed to allow the employee to further the company business aims and was related to friction, confrontation or intimacy inherent within, it was likely for the benefit of the company and the company should take responsibility. To protect victims, the greater the amount of power given to the employee over the victim and when that power is wrongfully exercised over vulnerable potential victims , it is likely that the company is vicariously liable. Actual vicarious liability would depend on the factual assessment of the situation and context-based. In the case that these factors compel a finding of vicarious liability, the company or employer would be held accountable for the misdeed and liable to compensate the victim. There are also certain statues that impose liability on a company or employee for the criminal conduct of their employees. For example, s 27(b) of the Sale of Food Act imposes the same criminal liability on the company or employer even when it was the employee himself who sold the food items. Therefore, it is important to understand specific statutes that govern the company’s business to understand the legal risks involved when employing. The concept of vicarious liability ultimately aligns with the aims of the law. The law protects people. Similarly, when mistakes are made during the course of a business, vicarious liability apportions the responsibility between the employee, employer and the victim to properly compensate for damage that has been done. For the employee, they will not have to take the blame when they were simply doing the job they were told to do. For the employer, they will not have to take the blame when the misdeed was not a consequence of their authorisation or business. For the victim, they will not have no recourse when they suffer from the mistake of another person. Vicarious liability is a reminder that power should not be carelessly given and should be properly exercised. A step forward in the right direction is for companies and employers take proactive steps to reduce the possibility of accidents and misdeeds committed by employees, to reduce the number of situations for vicarious liability to even arise. If you have a legal question, you can request for a quote with Kawal Pal Singh or other lawyers. With Quick Consult, you can check out in minutes and for a transparent, flat fee from S$49, the lawyers will call you back on the phone within 1-2 days to answer your questions and give you legal advice. 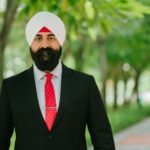 This article is written by Kawal Pal Singh from Tito Issac and Co LLP and edited by Jia Fen from Asian Law Students Association. Kawal graduated from the University of Southampton with a Bachelor of Laws (Honours) in July 2014, and was admitted to the roll of Advocates and Solicitors of the Supreme Court of Singapore in August 2016. Thereafter, he joined Tito Isaac & Co LLP as an Associate in September 2016. Prior to joining us, Kawal completed his legal training at a medium-sized law firm where he assisted a prominent Senior Counsel in a variety of complex criminal & civil litigation and international arbitration matters. Currently, Kawal’s legal practise primarily focuses on Civil and Criminal Litigation and he has been involved in an array of cases at the State Courts and High Court since being admitted to the Singapore Bar. He has also been involved in non-contentious matters such as drafting and reviewing various corporate agreements and restructuring of corporate entities.